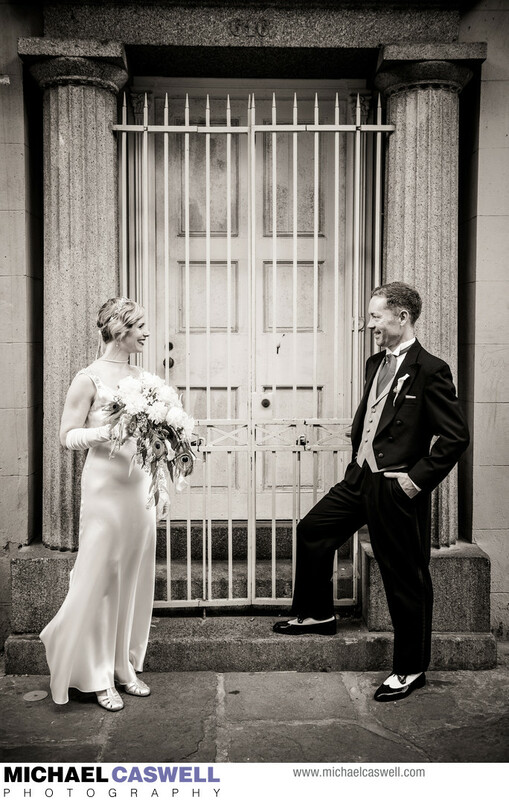 Alexis and Bret had a fabulous 1920s-themed wedding at Montegut House, with the couple and the bridal party nailing not only the look, but the feel and atmosphere. After some getting-ready shots in the Bourbon Orleans Hotel as Flawless Bride did their magic, the couple shared a first look in nearby Pirate's Alley, and then we took some time to capture some wonderful portraits of the couple around the French Quarter, plus were able to finish all of the formal group photographs as well. We then headed around the corner to Montegut House on Royal Street. This property, also known as Maison Montegut, was built sometime near the end of the eighteenth century. Named for original owner Dr. Joseph Montegut, it was also later owned by Ursuline nuns. 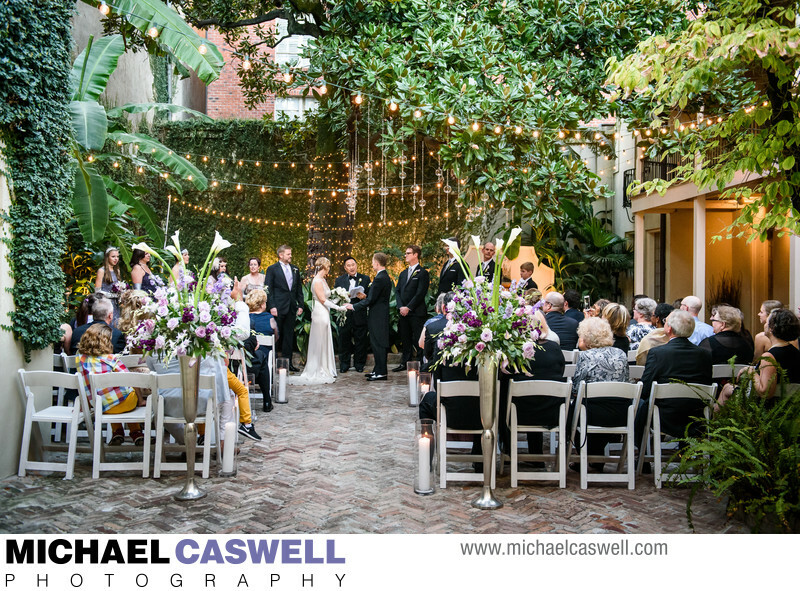 This classic Creole-Spanish style French Quarter mansion now serves as a truly unique and amazing wedding venue, with elegant interior rooms and a lush and beautiful courtyard, a perfect venue for this couple's event. 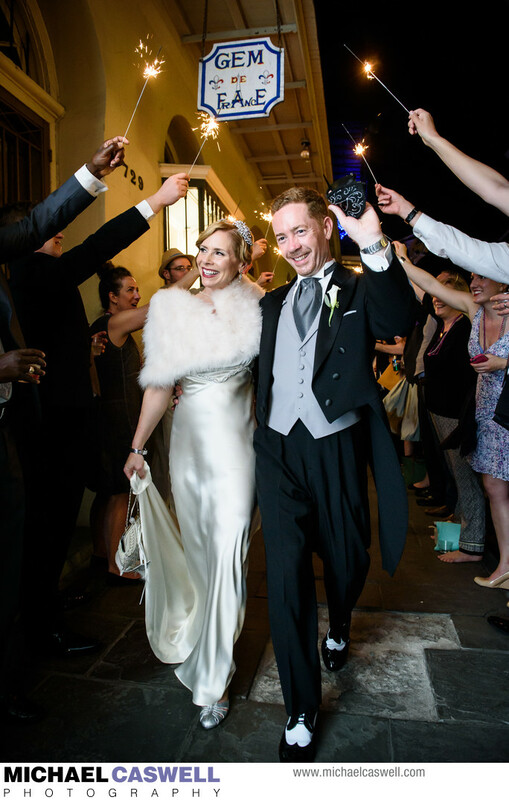 The ceremony took place in the courtyard. 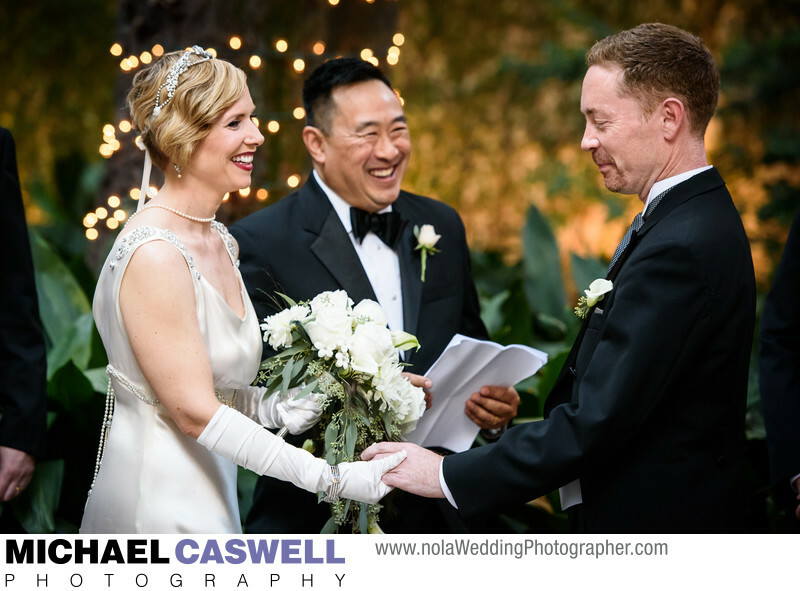 The expert coordinators of Unique Weddings in New Orleans were fantastic to work with as usual, and also set the mood perfectly with antique furniture and countless beautiful candles throughout the courtyard and inside, which along with the gorgeous flowers crafted by Fat Cat, created a memorable ambiance. 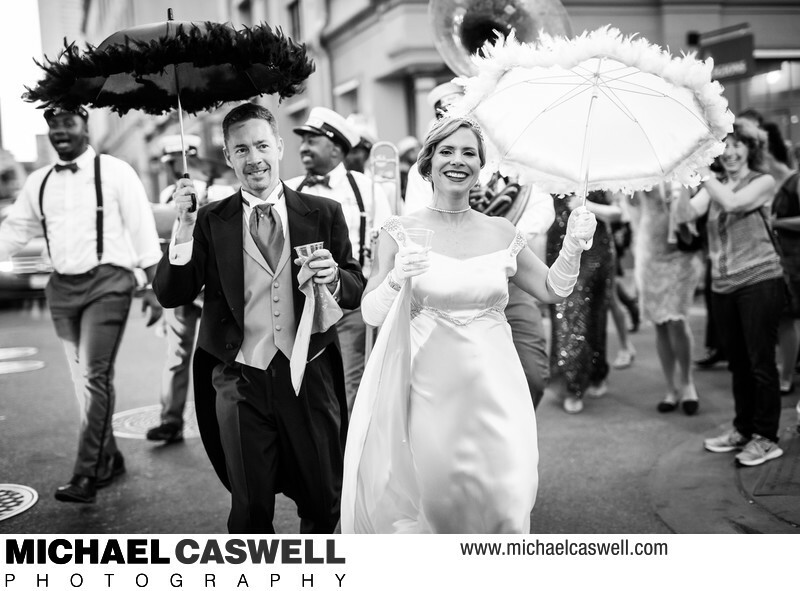 After the ceremony, the fabulous Kinfolk Brass Band showed up and led the group on a festive Second Line parade through the streets of the French Quarter, circling back to Montegut House, where everyone enjoyed a pleasant dinner inside. 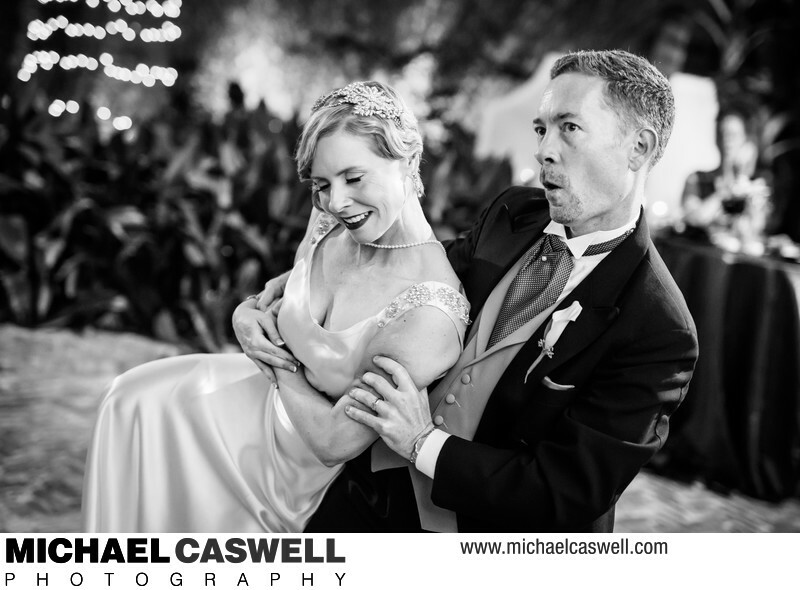 Afterward, they headed back out to the courtyard to dance the night away, entertained by the Shotgun Jazz Band, and wrapped up the memorable celebration with a fantastic sparkler send-off! Location: 731 Royal St., New Orleans, LA 70116.